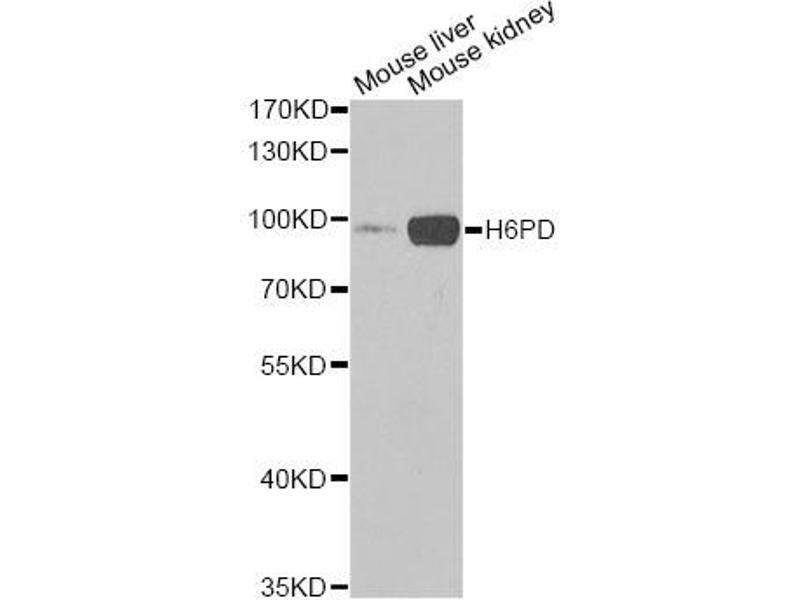 Western blot analysis of extracts of various cell lines, using H6PD Antibody. 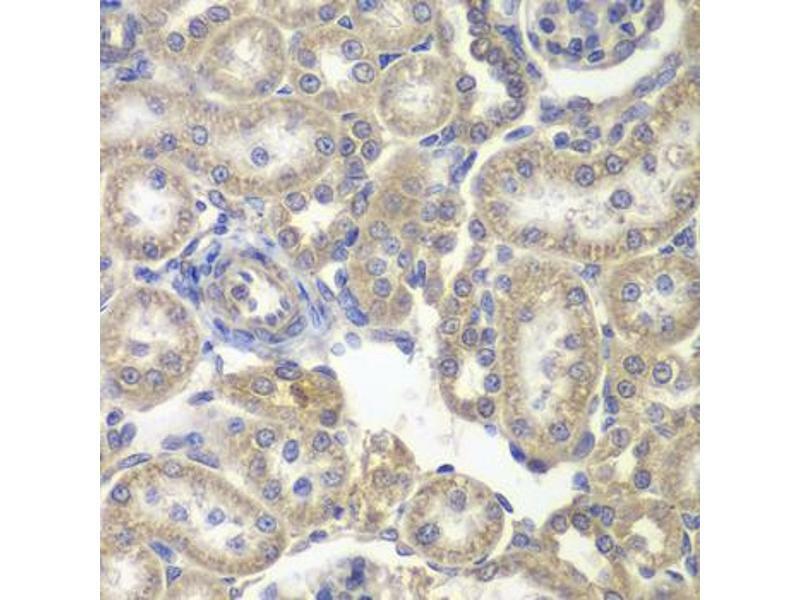 Immunohistochemistry of paraffin-embedded rat kidney using H6PD antibody. 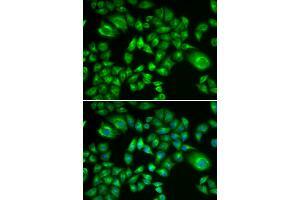 Immunofluorescence analysis of A549 cells using H6PD antibody. Background: There are 2 forms of glucose-6-phosphate dehydrogenase. 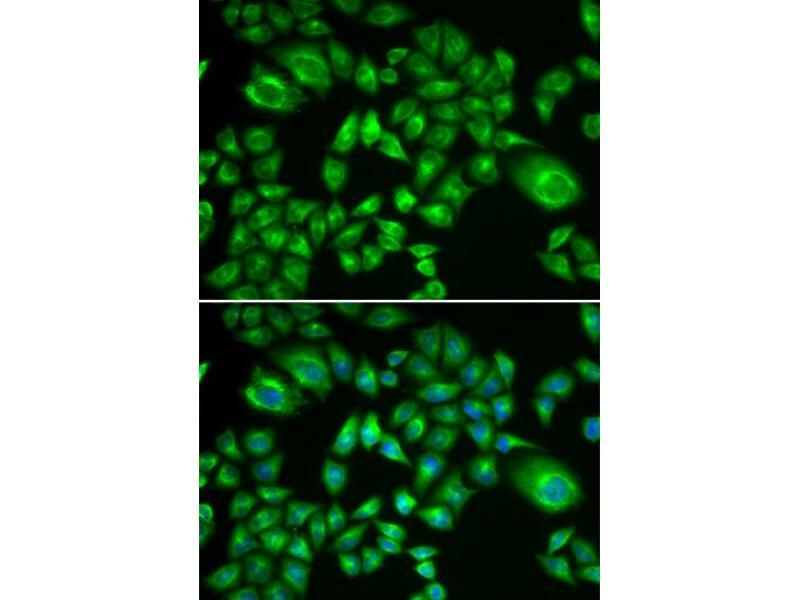 G form is X-linked and H form, encoded by this gene, is autosomally linked. 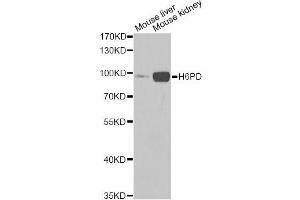 This H form shows activity with other hexose-6-phosphates, especially galactose-6-phosphate, whereas the G form is specific for glucose-6-phosphate. 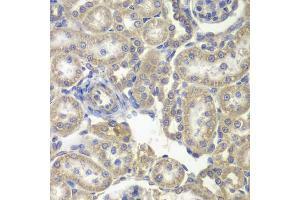 Both forms are present in most tissues, but H form is not found in red cells.